What happens when a Hurricane shows up in Wisconsin? 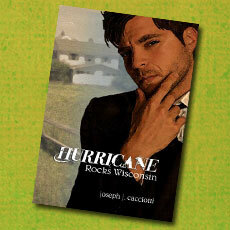 Find out the destruction and mayhem it can leave behind in Hurricane Rocks Wisconsin. Seventeen year old Susan Watkins and Shirley Dupree are kidnapped on their way home from school and become hostages in an abandoned, boarded-up old house. Their parents receive a ransom note indicating they have twenty-four hours to collect one million dollars. With a warning of “no police, or death,” Raymond Dupree, Shirley’s father, calls in the only man he knows he can trust to get the girls back is James Rufus aka HURRICANE. What is it about the abandoned house? Who is trying to send them a message? The twists and turns in this story will keep you on the edge of your seat from start to finish.